I added chocolate chips for the video. That is totally optional for you. Just make it however you like. Looking for more pumpkin recipes? I’ve got you covered with more recipes below. 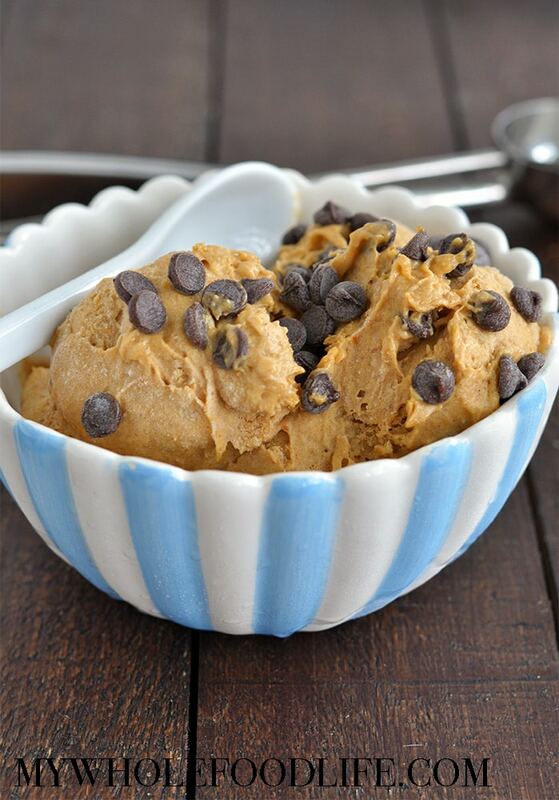 This healthy pumpkin ice cream is vegan, gluten free and paleo! Add all the ingredients to a food processor . Blend until smooth. This will produce a soft serve ice cream. 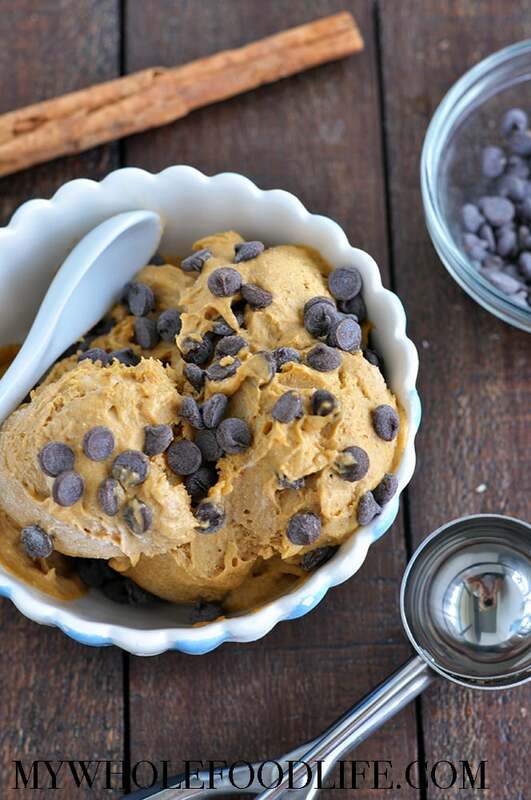 If you prefer a harder ice cream, you can place the mixture into a freezer safe container and freeze for an extra 30 minutes. Made this tonight and it was delicious! My hubby, who's very picky and doesn't usually like healthy stuff, even liked it. Thanks for the recipe!